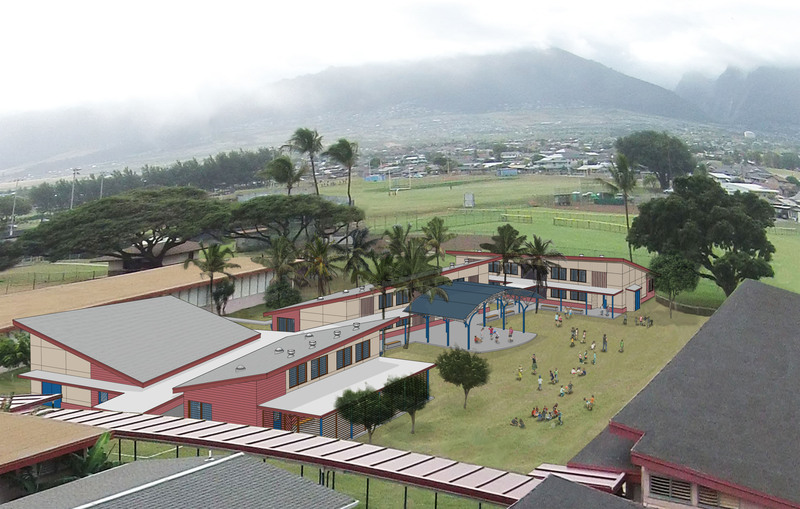 SPECIFICS: Kahului Elementary School’s Building G was destroyed by fire leaving a void in the campus. 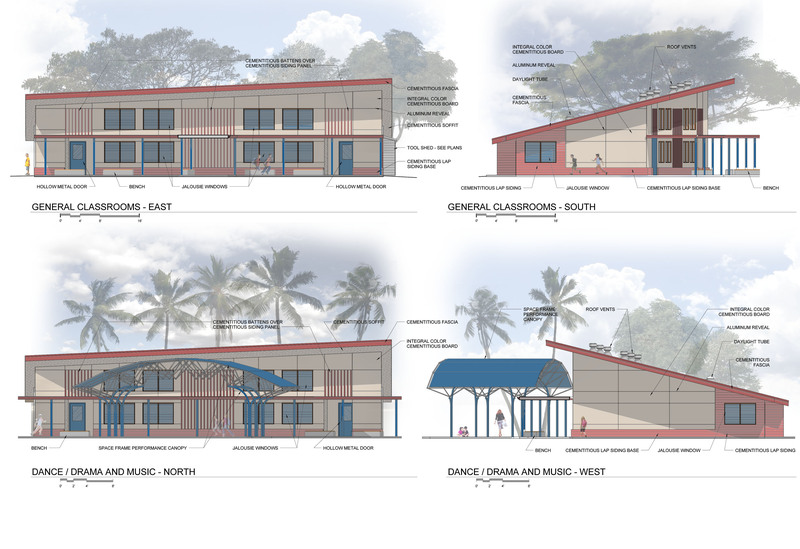 Hawaii’s Department of Education sought to infill through a design-build competition. fresch teamed with Ferraro Choi And Associates and F&H Construction for the project. 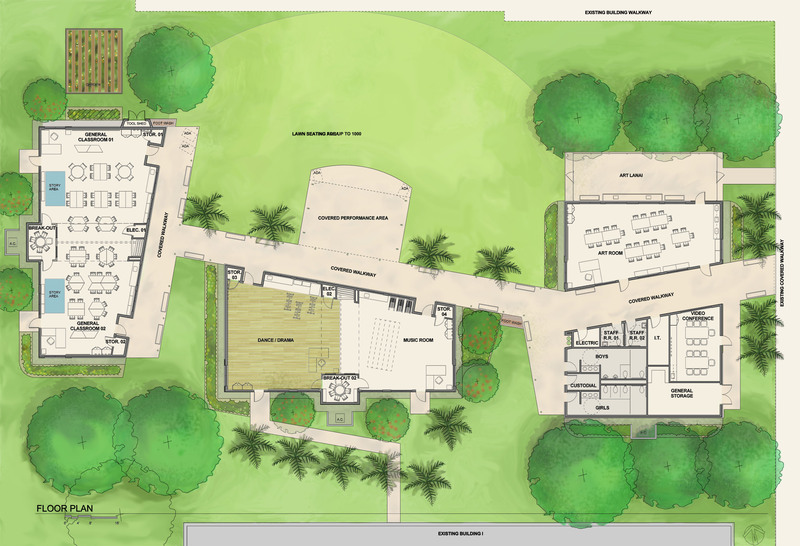 The design looked to break free from the established rigidity of the campus – linear, cinderblock, single-story, single-loaded circulation classroom blocks – in order to provide an inspiring indoor/outdoor learning environment for the School’s new arts, dance, and drama center. The building forms are tuned for stack effect – allowing hot air to rise to the building prow above the suspended ceiling and exhaust through a series of roof vents. Fresh air enters through jalousie windows to aid in natural ventilation during thermally comfortable times of the year. Mixed-mode design allows for air conditioning at times when exterior thermal conditions are not conducive to learning. 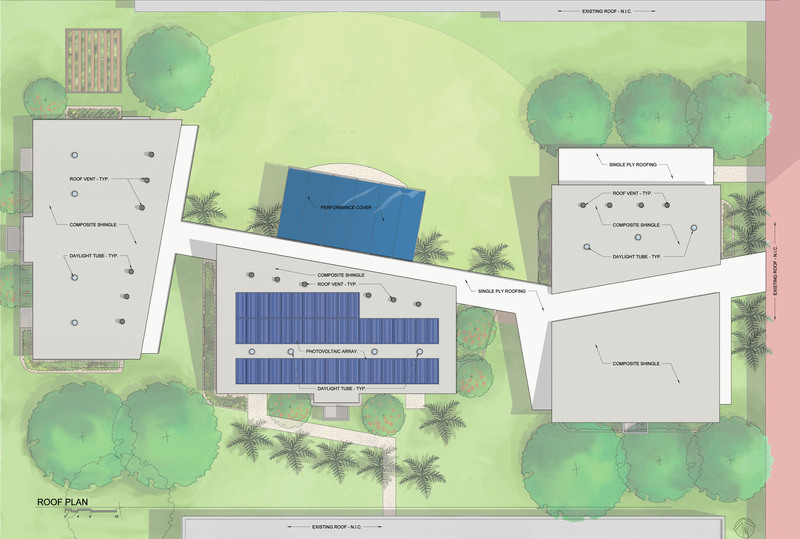 The design includes a space frame covered performance area which hosts school productions and community functions. 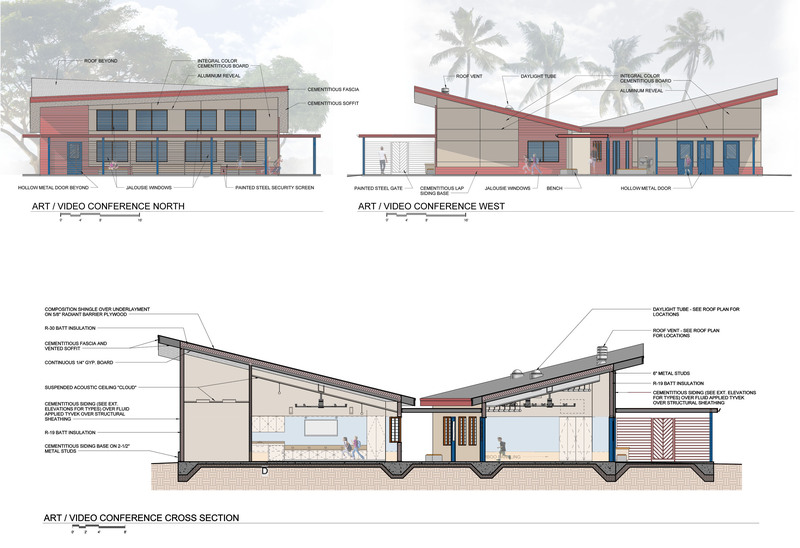 Other design features include daylighting at 100% of classroom spaces, photovoltaics for 50% of the electric load, drought resistant native landscape, and operable partitions which aid in providing a flexible 21st century learning environment.